What happens in Vegas doesn’t always stay in Vegas on the unique, new reality series from the producers of “Britain’s Next Top Model,” HITCHED IN VEGAS (10 x 60’)! Love is in the air in Las Vegas, the Wedding Capital of the World, which offers a whole range of weddings – from lavish to low key, stylish to contemporary, soulful to sinful and more – that cater to every taste, budget and wedding party size. 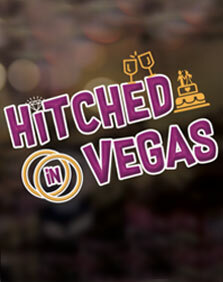 Each HITCHED IN VEGAS episode follows two of these events as Vegas-bound brides and grooms-to-be, and their wedding parties, arrive in town and prepare for their big day. Viewers get to know the loving couples, all of whom have their own, unique opinions on what it will take to put together their life-changing day. And, like all couples, they come with baggage on top of their luggage…namely, the in-laws. These future relatives have to deal with each other, as well as their own offspring, adding drama and turbulence to the wild ride down the aisle. And then, of course, there’s the bachelor and bachelorette parties, where wedding guests let loose and produce some hilarious moments that look like they’re straight out of ‘The Hangover’ movies. Viewers also meet the larger-than-life, multi-tasking, Vegas-savvy wedding teams that are experts in making “once upon a time happen” every time. With its bright lights, neon backdrops, mega resorts and more, Vegas makes for a dynamic and dramatic destination to say ‘I Do’, and these seasoned pros are more than up to the task. Whether it’s a wedding in one of the flamboyant hotels on the Strip, a themed service at a chapel, or an outdoor event at the Grand Canyon, each day requires the dream makers of Vegas to create perfection. Finally, the cameras, of course, are also there on the “big day”: Will everything go as planned? Will Elvis turn up on time? Will the 10-tier cake make it to the venue in one piece? Will the groom recover from the night before? From the pre-wedding party antics and family and guest drama, to wedding day jitters and unpredictable moments, HITCHED IN VEGAS treats viewers to the most exciting, elaborate and entertaining wedding adventures ever!